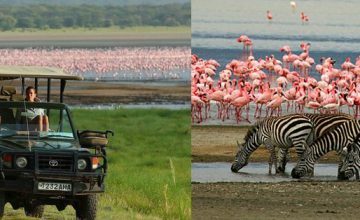 6 Days Tanzania Safari Tour includes magical exploration to Lake Manyara National Park famous for tree climbing lions, Ngorongoro Crater famous for its scenic crater, Serengeti National Park famous for its enormous counts of wild game including Millions of Wildebeest and their Great Migration. The safari starts and ends in Arusha Tanzania. 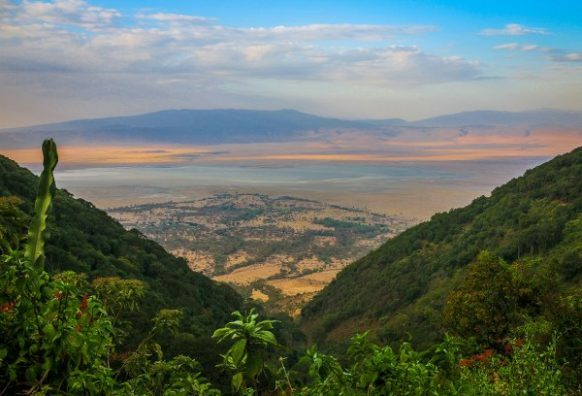 Following breakfast at the place of stay in Arusha, you set off on the drive to Lake Manyara National Park 130km approximately 2 ½ hour’s drive. 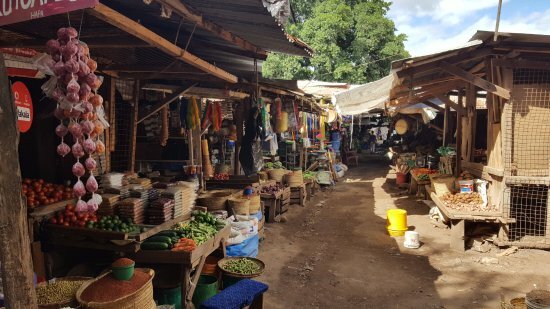 Upon arrival, you embark on the visit to the Mto Wa Mbu village exploring the diverse traditions of the local people including their way of living, the agricultural practices and the food stuffs grown, art and craft centers, local schools and Orphanage center among others. 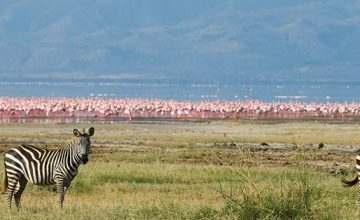 You settle for lunch and in the afternoon, you embark on the game drive exploring the beautiful landscapes of Lake Manyara National dotted with counts of wildlife such as Elephants, Buffalo, Baboons, Leopards, Giraffes, Impala, Zebra along with Wildebeest. 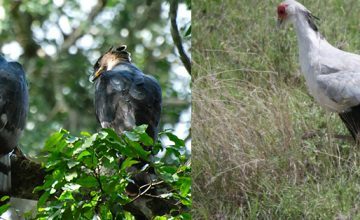 The lake covers 70% of the park and a range of 400 bird species call the park their home thus offering rewarding bird watching opportunities. 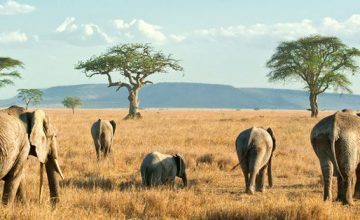 Following breakfast, you embark on the drive to Serengeti National Park – the most popular wildlife safari destination in Tanzania. 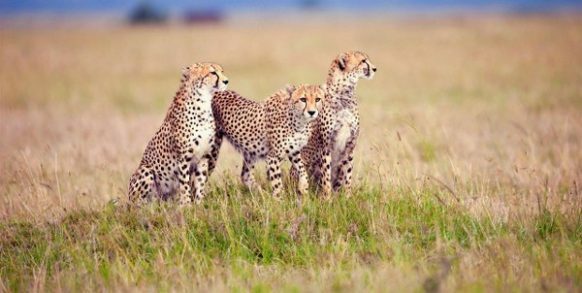 Stretching to 14,763 sq km, Serengeti National Park literally translates to endless plains and features great counts of wildlife including Millions of Wildebeest, Zebras, Gazelle, Lions, Elephants, Buffalos, Rhinos, Impala, Waterbucks, Cheetah among others. The evening game drive offers remarkable views of the savannah at the sun set. 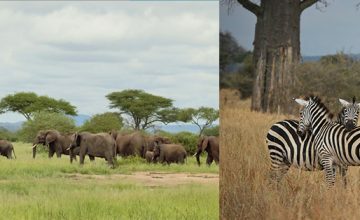 This is dedicated for a whole day exploration of the beautiful landscapes of Serengeti National Park standing with the World’s highest concentration of plain animals. 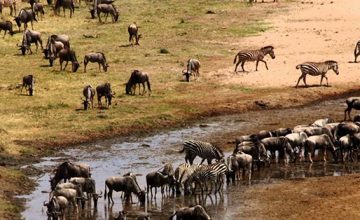 The animal counts stand at 4,000,000 among which include; 1,600,000 Wildebeest, 3000 lions, 500,000 Zebras, 300,000 Thompson and Grants Gazelle. 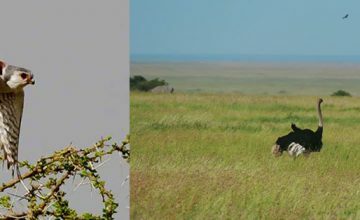 Over 500 species of birds also thrive in Serengeti. After breakfast, set off for an early morning game drive for more wild game viewing in Serengeti National Park. From this, you embark on the transfer to Ngorongoro Conservation Authority making a stop at Olduvai Gorge a great archeological site where skull of the early man was discovered giving a new shape to the history of human evolution that eventually listed East Africa as the cradle land of mankind. 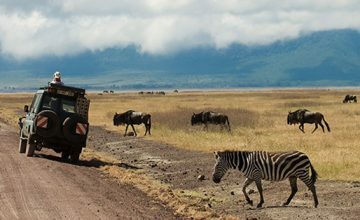 Proceed on the drive to Ngorongoro crater for relaxation, dinner and overnight. 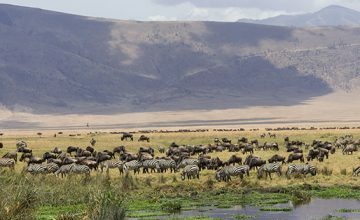 Ngorongoro Crater also referred to as the Secret Garden of Tanzania features undisclosed world of wildlife. 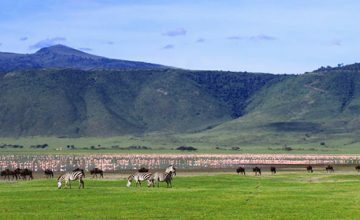 The encounter of Ngorongoro crater starts with 2000 feet descend from the lush rain forest at the crater rim to the savannah woodland and bush on the crater floor. The picnic lunch is taken at the crater rim to gain remarkable scenic views. 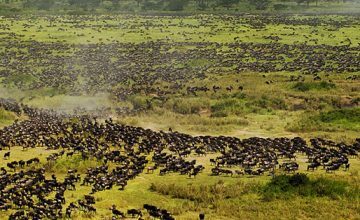 The game drive in the crater offers possible sights of Lions, Elephants, Hippos, Black Rhinos, Elands and Wildebeest among others.